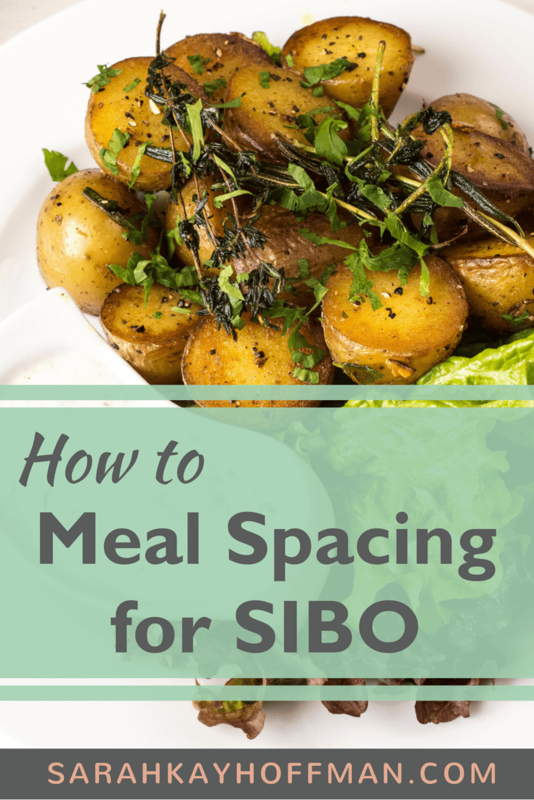 I started practicing meal spacing for SIBO a couple weeks ago. It’s been a practice that I heard so much about, but one I resisted for a very long time. Why? Because, well, snacking. I love to snack all. day. long. In fact, if it were up to me, I’d never sit down for a full meal and instead just munch throughout the day. But by doing this, I have never felt all that full, and my energy levels were too up and down. After getting such great news about my SIBO status at the last doctor’s appointment, I started thinking again about how nothing changes if nothing changes. I have made such great strides with SIBO, a low-functioning Thyroid, and the “adrenal fatigue,” but in order to overcome them further, new measures and steps, supplements, and changes would have to be made. When I work with clients on elimination diets, the only way we can understand exactly which foods are offensive is by doing controlled studies (slowly). 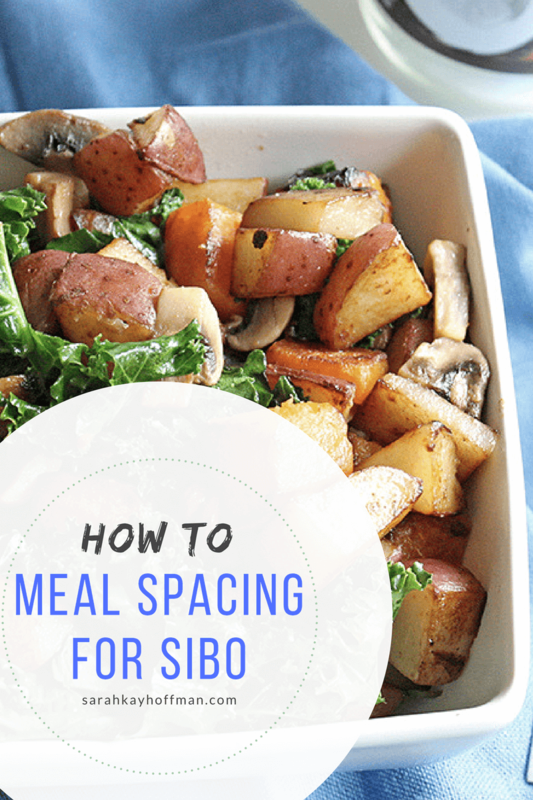 This is the same approach I am taking to advance my SIBO healing (adding in or subtracting just one or two things at a time), only this time it’s not food-property focused (yes, finally!!!! ), but instead food-timing focused. So here’s exactly what I’ve been doing. Click HERE to save this how-to for later. It all starts with dinner. I try to eat dinner each night no later than 6 pm. For us, this works because I work from home (and Ryan is almost always home by 5 pm the days he travels), and our kids are screaming for dinner right around 5-5:30 pm. It takes a little planning, but as long as I plan the night’s dinner first thing that morning (or even the night before), it’s easy peasy squeezy. Take last night for example. We had baked chicken drummies and root vegetables. I threw them all in the oven around 4 pm so that around 5 pm, dinner would be ready to go. And then I’m done for the night. No, I didn’t just have chicken drummies and root vegetables (although this is enough some nights). I also had a salad, coconut oil, and some other fixin’s. Once the main dinner was over, and because I love “dessert,” I grabbed my spoon and had enjoyed Carrot Cake Walnut Butter. But after the entire meal was over, I was done. I didn’t go back in the kitchen to nibble more and more, and then grab a spoonful of something here and there right before bed. Just done. 12-14 hour fast. As long as I’m done eating dinner by 6 pm, and don’t eat breakfast until around 8 am the next morning, my body has just completed a 14-hour fast……without really trying. I know that’s it a big thing these days to do Intermittent Fasting for weight loss, but with a low-functioning Thyroid and “adrenal fatigue,” I don’t believe in the practice as most people do it (which is to not eat until like 11-12pm, and then on top of it have certain days where they eat more carbs, less carbs, etc., etc.) No judgement towards those who choose to intermittent fast rigorously, but the goal with a 12-14 hour fast for those with SIBO is to just let give the digestive system a long resting period. I do have coffee and water first thing in the morning, but no food. Breakfast. Around 8 am I eat breakfast. And I eat a lot (just like dinner). Lately, we have been obsessed with eggs and breakfast sausage, so I’ll have that (probably 2-3 eggs and 3-5 mini breakfast sausage links) and as often as I can, sautéed greens. Lunch. After breakfast, I’m done again until 12:30-1 pm. My goal is to always have a minimum of 4 hours between meals. I used to nosh all morning long, but have nixed this. Lunch is usually leftovers from the night before or a jumbo salad like the one I had yesterday. Snack. And this is the only time I might have a snack throughout the day, but not always. I’ve been digging various Paleo bars lately, so I’ll have one of these many days in between lunch and dinner. That said, yesterday I just wrapped it into lunch, and then was so full I didn’t eat again until dinner. Dinner. And then it’s back to dinner. According to most sources out there, in order to initiate the cleansing wave, you just need to give your digestive system a rest (i.e. fast) for 3-4 hours at a time. While it might not seem like that long, I have been used to going no more than 2 hours without something to nibble on! I am so excited to see where this can take me on my SIBO healing journey because by doing just this and adding in the HCL and Cod Liver Oil, I have had the best past few days (from a digestive standpoint) that I have in months (I wrote about this yesterday via Supplements and Medications). 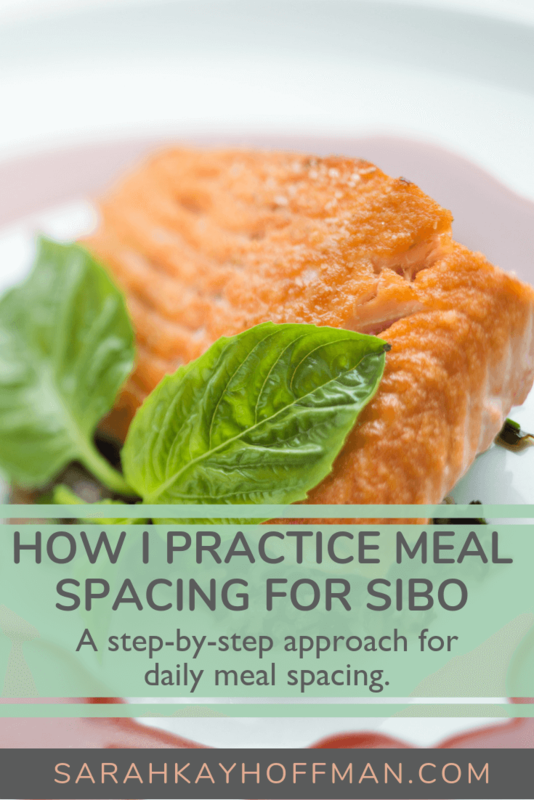 Question: Do you practice meal spacing? How has it worked for you? If not, are you interested in giving it a shot? Grab all SIBO information via The Gutsy Girl’s Bible: an approach to healing the gut, 3.0. 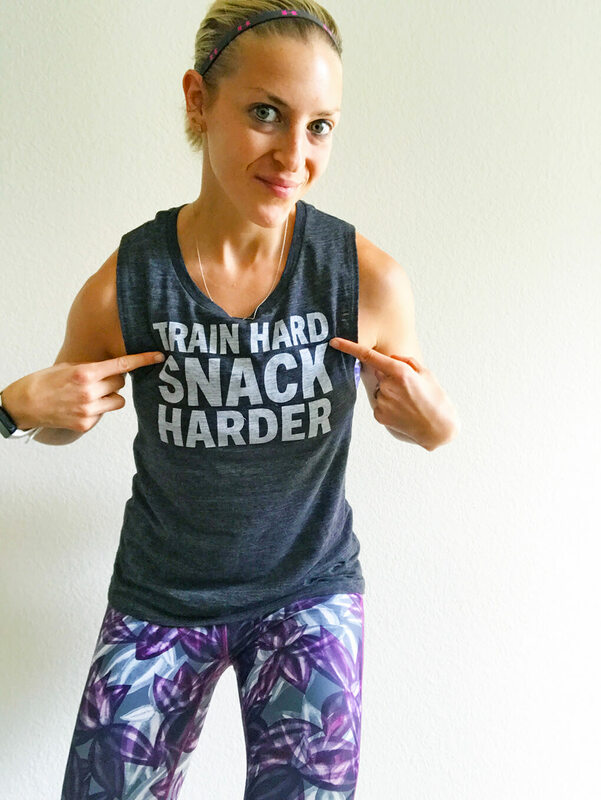 Hi Sara, I am doing the same thing keeping my meals spaced…use to be a big snacker. Do you know if things like medication/supplements interrupt the MMC? I take Low-dose Naltrexone right before bed as well as 900 mg of magnesium. This is about two hours after dinner right before bed. I can’t seem to find anything on the web about whether supplements and medication interrupt the MMC during fasting. Hi, Amber! That is a very interesting question and no, I do not know anything about it. However, I have never heard that it would interfere. I, too, take LDN and I haven’t had any problems. Let me know if you run across any real answer to it! I too, am trying IF. I was a huge snacker as well. If it were up to me I’d snack continuously day and night. After reading a lot about it I decided I needed to try it. Makes complete scene that the gut shouldn’t be working non stop. I’ve been finding some relief as far as bloating; yet still very bloated after eating large meals. Guess it’s a wrk in progress like everything else! Great article.